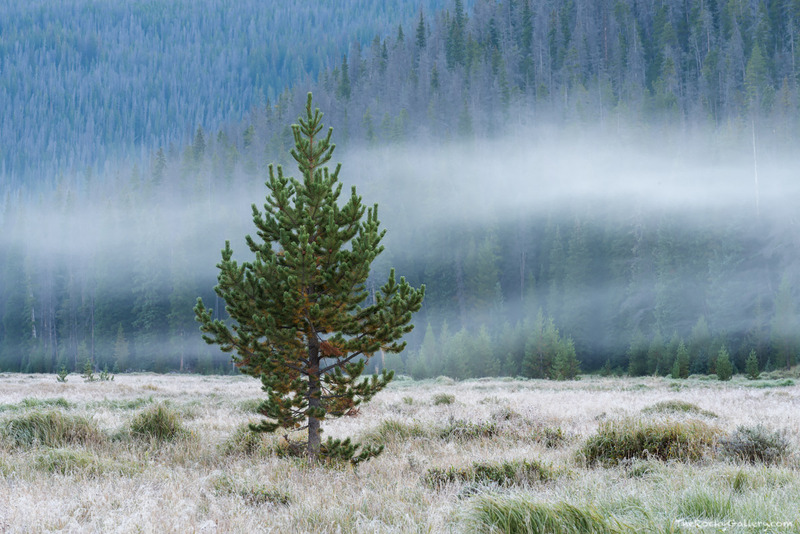 A cool august morning in Big Meadows on the west side of Rocky Mountain National Park as fog filters through the forest. Moose graze on the late summer grasses and the sun will soon shine on the meadow warming the valley. Photo © copyright by Thomas Mangan.